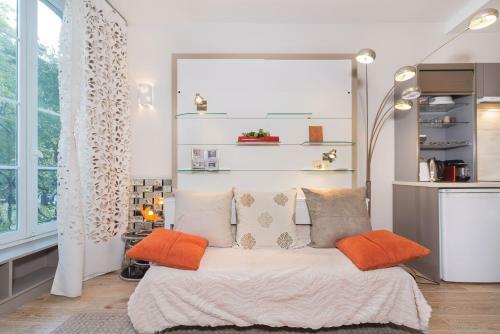 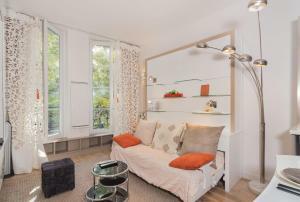 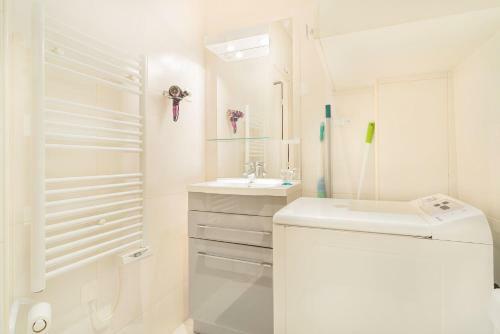 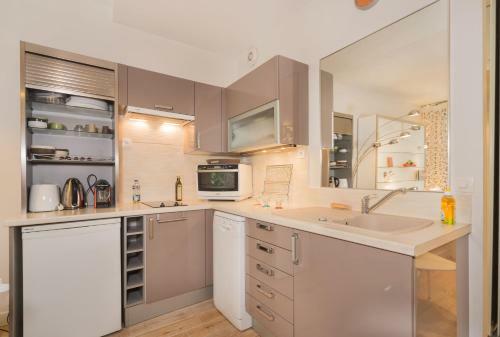 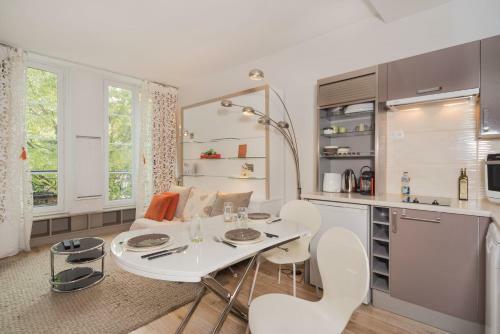 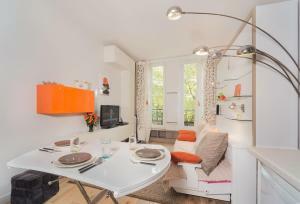 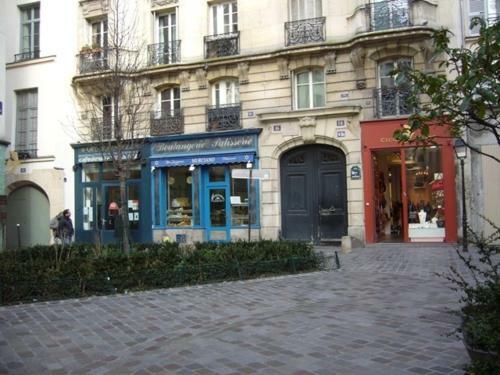 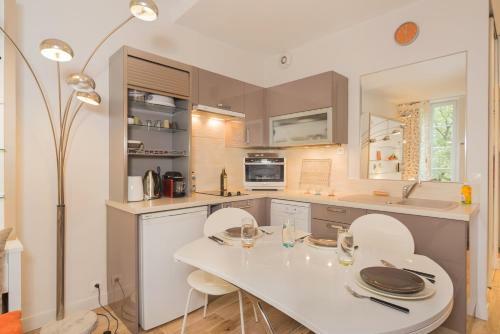 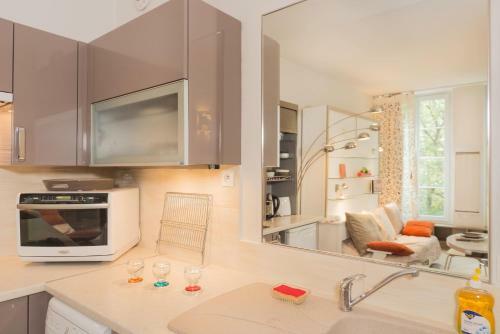 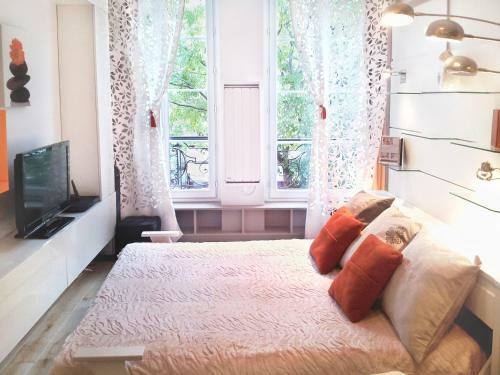 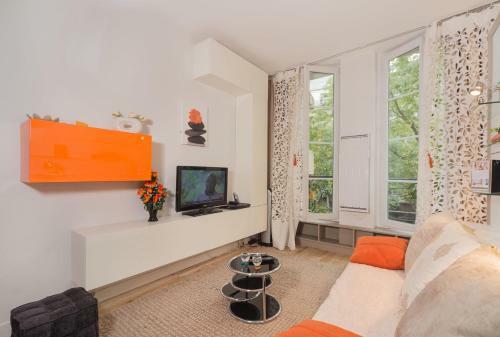 This property is a 10-minute walk from Les Halles Shopping Centre and 450 metres from Saint-Paul Metro Station, which leads directly to Place de la Bastille. 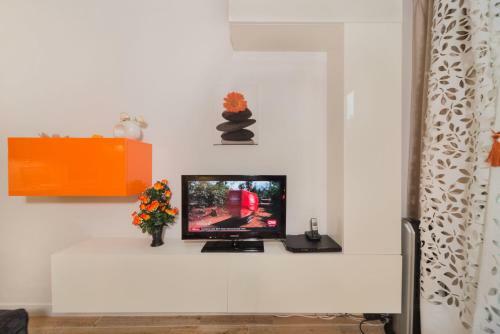 Please note that a € 500 damages deposit will be requested upon arrival. This may be used to charge for any damages incurred to the accommodation during your stay. 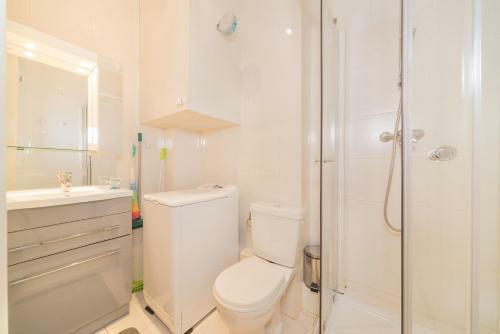 Please inform the property of your estimated arrival time at least 1 week in advance, in order to arrange key collection. 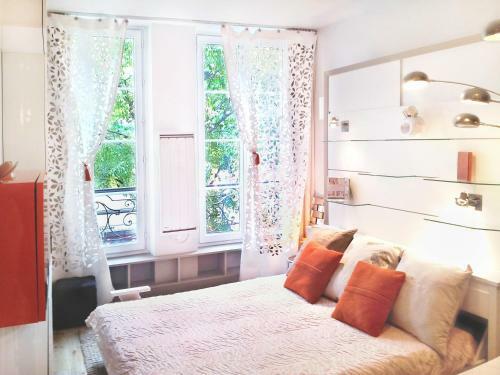 Please note that bed linen for the extra bed has an extra cost of € 25. 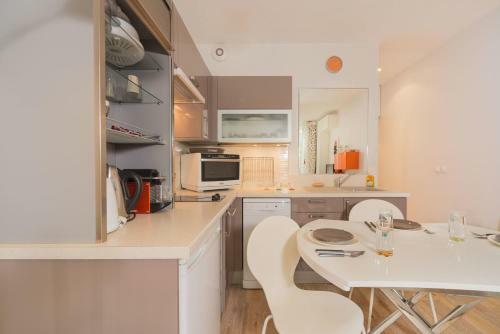 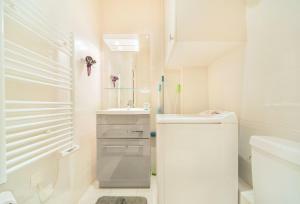 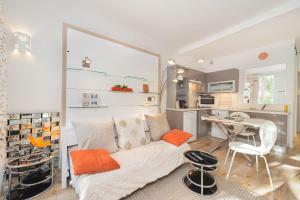 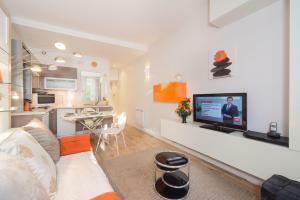 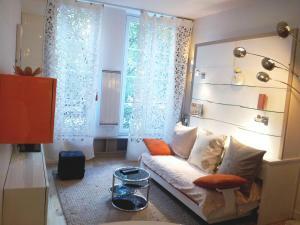 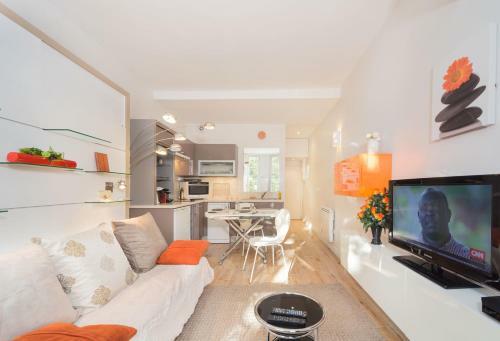 This studio has a washing machine, dining area and a sofa bed with electric control. 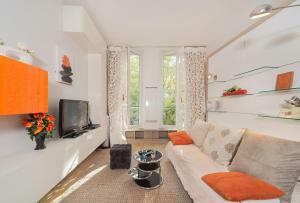 Rate: € 91.07 ... € 210.00; select dates below to get current rates.